The MiraBay Dragon Boat Club, The Leviathans, is seeking new paddlers to join its team. Interested paddlers must be at least 15 years old, and both residents and nonresidents are welcome to join. The Leviathans hold its practices Tuesdays and Thursdays at 6 p.m. and Sundays at 9 a.m. in the MiraBay Lagoon. Individuals with questions can e-mail inquiries@mbdbc.org or visit http://mbdbc.org. MiraBay is a collection site for Cell Phones for Soldiers. All phones that are donated will be sent to ReCellular, which pays Cell Phones for Soldiers for each donated phone. It is enough to provide an hour of talk time to soldiers that are deployed overseas. For more information, e-mail jenniebeveridge@gmail.com. Group swim lessons for summer 2014 have begun, and all groups meet four days a week, Monday-Thursday. Classes are 40 minutes each, with the exception of parent/toddler which are 30 minutes each. If there is bad weather during a swim lesson, make-up days will be held at the same time that Friday. The next session of swim lessons coming up is Session 4 which begins Monday, July 14 and Session 5 which begins Monday, July 28. -Parent/Toddler (six months- three years): 9-9:30 a.m.
-Blowfish/Clownfish: 10-10:40 a.m. and 3-3:40 p.m.
-Jellyfish/Ray: 11-11:40 a.m. and 4-4:40 p.m.
-Shark: 12-12:40 p.m. and 5-5:40 p.m. There will be an assessment before taking any swim lessons. There is no fee for the assessment, but it must be completed before each child is placed in a group. To register, call 649-1500 ext. 21. The registration deadline is the Thursday prior to the start of the session. There are also private swim lessons available for adults, teens and children. For more information and prices, call 362-7697. 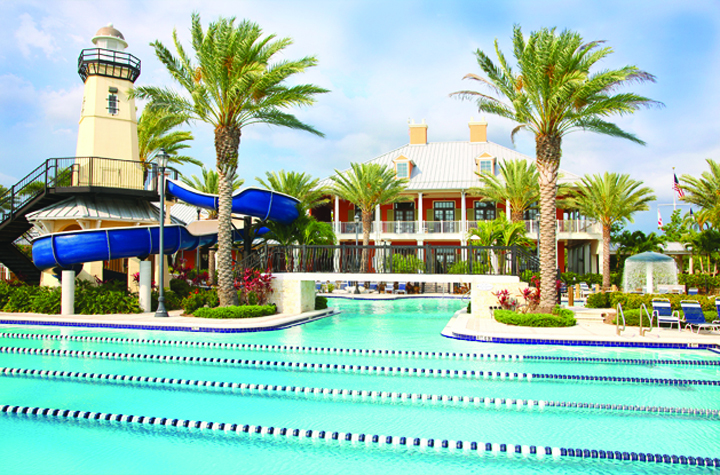 MiraBay is an HOA community located in Apollo Beach. For more information on MiraBay, visit www.mymirabay.net.